Following the end of World War One in 1918, war memorials were erected throughout the UK to remember those fallen. 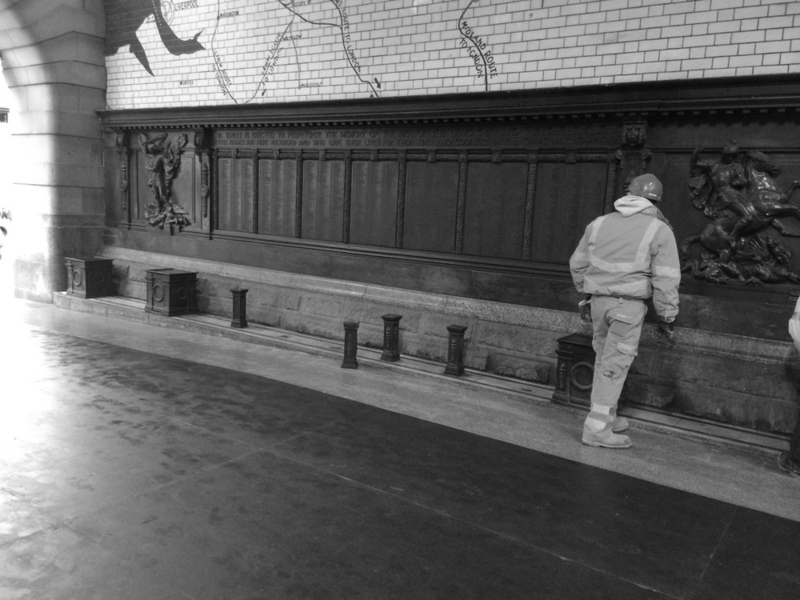 There is over 68,000 war memorials in the UK and they form part of our rich architectural and cultural heritage. 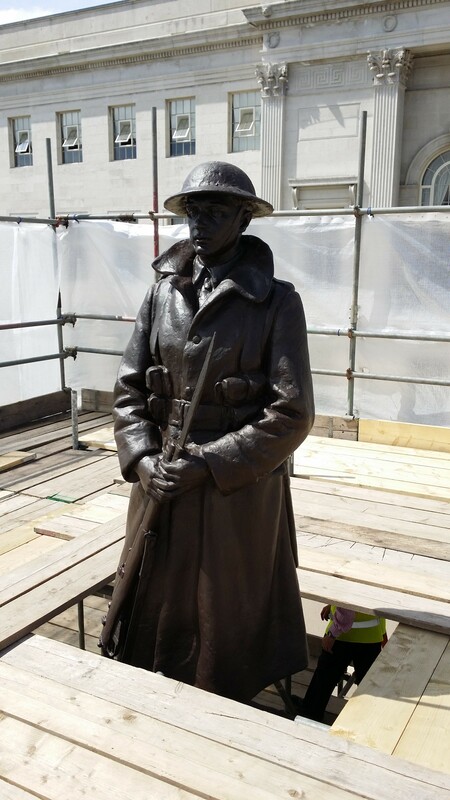 Throughout the First World War centenary, 2014-2018, there has been an increasing focus on ensuring war memorials across the country are protected and conserved, to continue the commemoration of those remembered on the memorials. Many war memorials are now Grade I or Grade II* or Grade II listed meaning they are legally protected. 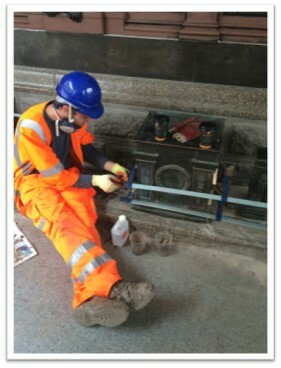 Protection is also given for any monument that is attached to a scheduled monument. 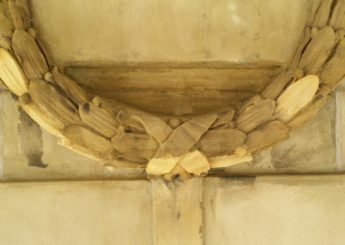 Deterioration of war memorials is often a result of weathering, structural movement or human intervention. 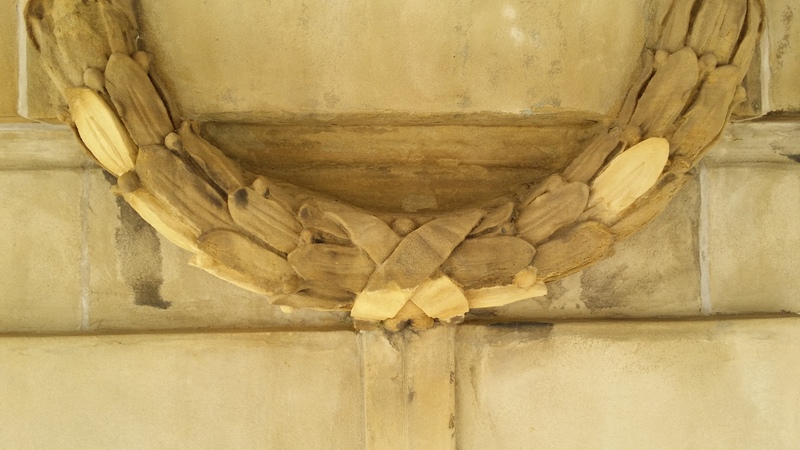 Any restoration works should be carefully considered to ensure that the causes of deterioration are removed or reduced, ensuring that historical significance is preserved for the future. 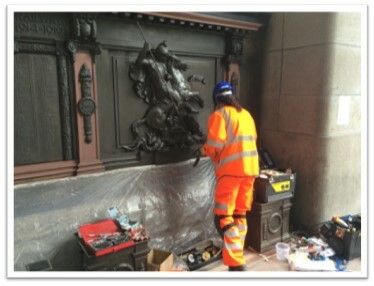 There are a number of methods that can be used to restore memorials including; cleaning, structural repair, replacement, re-pointing, re-lettering and consolidation. 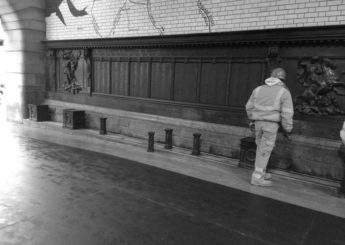 The bronze memorial was erected in 1922 and is made up of seven panels with names of the Lancashire and Yorkshire railway men who gave their lives in the great war. The memorial is set below a map of the Lancashire and Yorkshire railway network and features St George slaying the dragon on the right and a winged St Michael on the left. 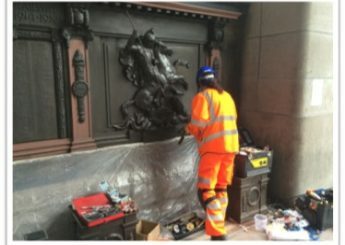 Due to the deterioration of the memorial, Quadriga undertook a full clean of the bronze and following this a wax coating was applied and the bronze mechanically buffered. 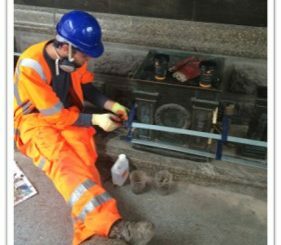 2 bronze bollards and lances were also replaced, this was done by developing moulds from the original plinths and then casting in bronze. Quadriga sensitively cleaned and restored the memorial. 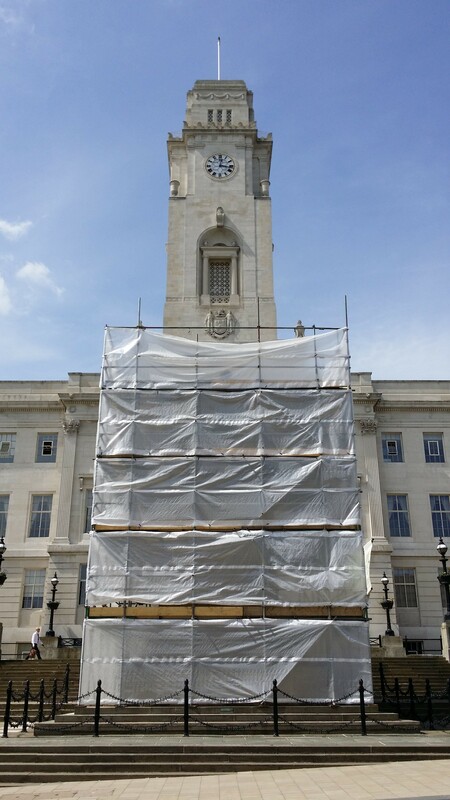 Due to the stone delaminating at the base, the mortar joints required re-pointing. 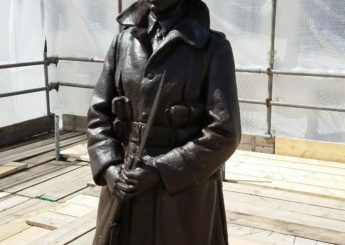 The bronze statue was hand cleaned, waxed and polished. 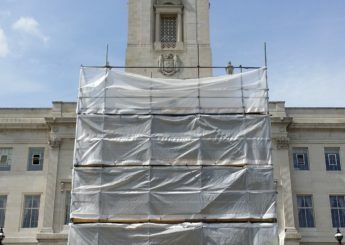 Other works included; rake and re-pointing of surrounding stone flags and steps, algae removal with soft nylon brush, removal of loose matter and re-pointing finished in a neat masons joint using lime based mortar, application of consolidation fluid and redecoration of chain link fence.